Organizational leaders seek to reduce or eliminate paid time off (PTO)-related financial liability. 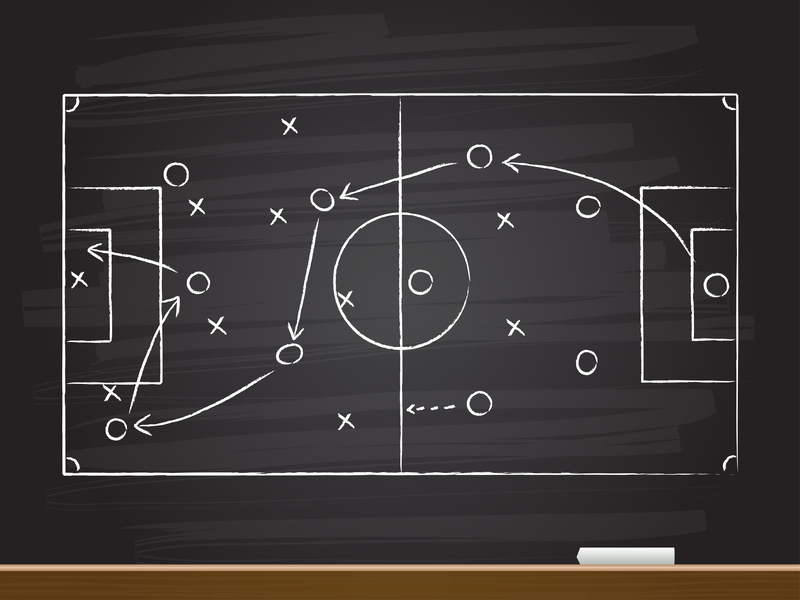 This business goal shapes the overall strategy of your organization’s PTO policy. Human Resources executives have an opportunity to help their organizations achieve this goal through selecting the PTO policy that best facilitates liability reduction. But PTO policy strategy is not straightforward. Various state and local laws, as well as company accounting and culture approaches, all factor into how companies design their policies. With the stakes so high, PTO policy decisions deserve serious consideration. Should your company have separate vacation and sick banks? Should your company offer PTO with sick and vacation together? Or is unlimited PTO or unlimited vacation with a separate sick bank the best way to go? Some organizations choose to customize their vacation policies based primarily on location. By having separate policies for each state or, in some cases, city, companies can opt to make each policy as company-friendly as that locations’ laws allow. Unfortunately, this attempt at cost reduction related to vacation usage and payout can result in other significant financial liabilities. 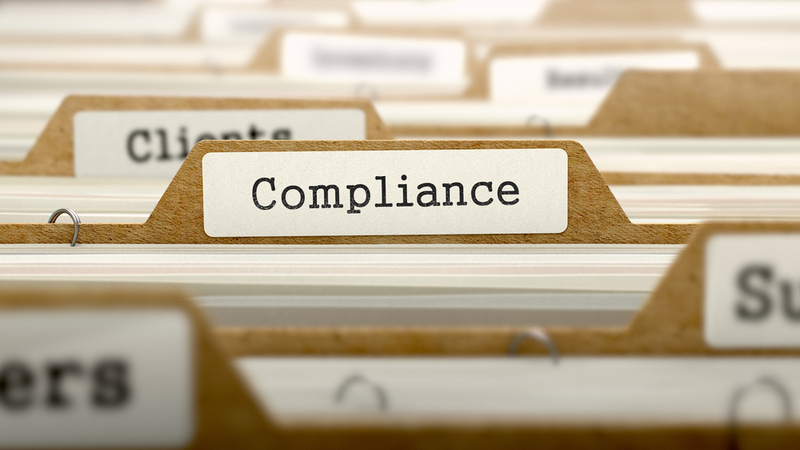 HR professionals should leverage their knowledge of compliance, while not losing sight of the organization’s overall business goal. In this article, I explain paid time off policy trends and issues and make policy recommendations for multi-state employers. Figure 1. Retrieved from WorldatWork’s June 2016 Paid Time Off Programs and Practices report. Most employers miss the mark when it comes to aligning their PTO policy with business strategy. The most commonly used policy types do not effectively address unused PTO liability. 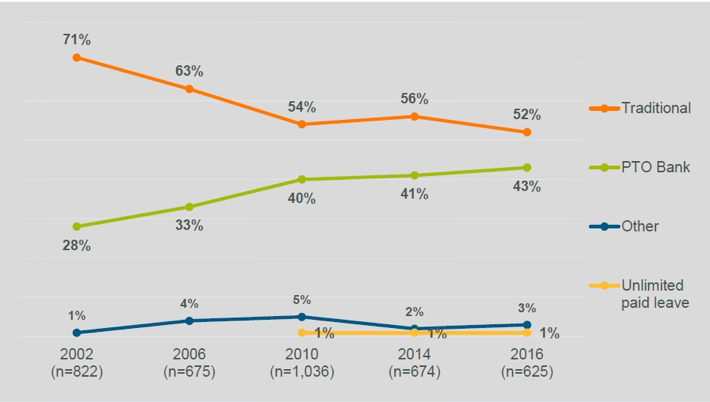 According to WorldatWork, in 2016 52% of companies kept vacation and sick time separate (referred to in Figure 1 as “Traditional”). By keeping the two separate, companies can more easily track required paid sick leave in states where paid sick leave is statutory. This may not be necessary, however, as for many states, statutory paid sick leave needs to be made available, but it does not need to be tracked separately. 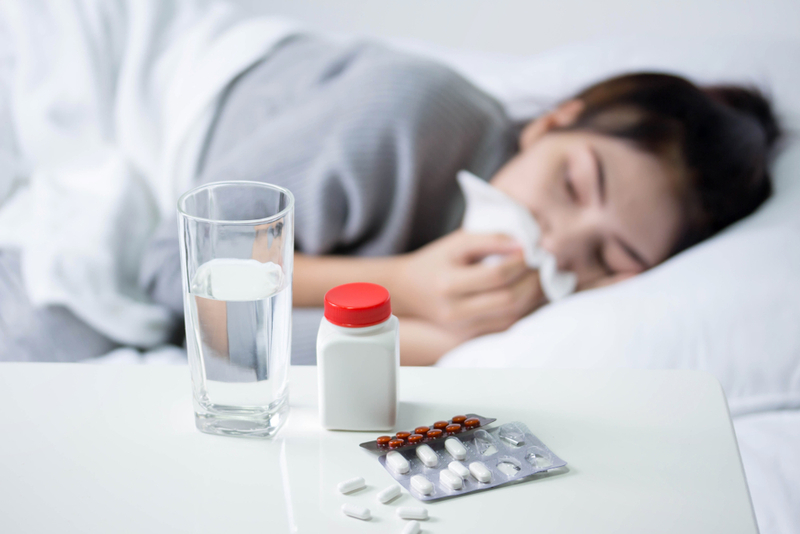 For many states with statutory paid sick leave, all that is required is for the company to show that paid time off was made available for employees to use for sick leave. Also, for many states, sick leave does not even need to be designated solely as “sick leave”. Employees may choose to use their leave for other things instead of sick leave if they want, and the company is not obligated to provide any additional paid time off. Additionally, many forms of protected leave such as FMLA require that employees be allowed to use all accrued time off towards covering the leave period, regardless of whether that paid time off is considered vacation time or sick time. A better reason some companies might choose to keep vacation and sick time in separate banks is that vacation time may be required to be paid out when the employee leaves the company, while sick time may not. Figure 2 shows which states require vacation payout. 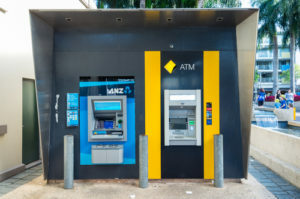 Keeping the two banks separate potentially allows the company to pay out less paid time off than they would if the vacation and sick were combined into one PTO bank. This is the 2nd most commonly adopted option. According to WorldatWork, from 2014 to 2016, the use of PTO policies increased by 24% in companies with 10,000 to 20,000 employees. Many companies appreciate the simplicity of a policy that combines paid vacation and sick time into one bank. The reduced administration time from not tracking these types of paid time off separately usually saves companies money. Even in many states that have statutory paid sick leave, PTO can be a simple option if the PTO balances meet the requirements and are front-loaded at the beginning of the calendar year. Then it is just up to the request/approval system and policy/requirements to determine what time people may actually take off from work and when they may actually take it. PTO policies also make streamlining easier for companies with employees in multiple states because the company needs only to apply the most generous rules required by law to all locations. If your company has a generous culture and sees the benefits of reduced hidden costs, then this might be a good option for you. Unlimited PTO offers the same benefits as PTO, plus it reduces administration by eliminating the need for things like tracking and rollover. It also eliminates payout, which removes unused vacation liability from the balance sheet. Despite its obvious selling points, it has not yet been widely adopted. Unlimited PTO is easiest to apply to salaried exempt employees whose performance is rated on results versus tasks, but it can also work for hourly non-exempt employees with proper oversight. 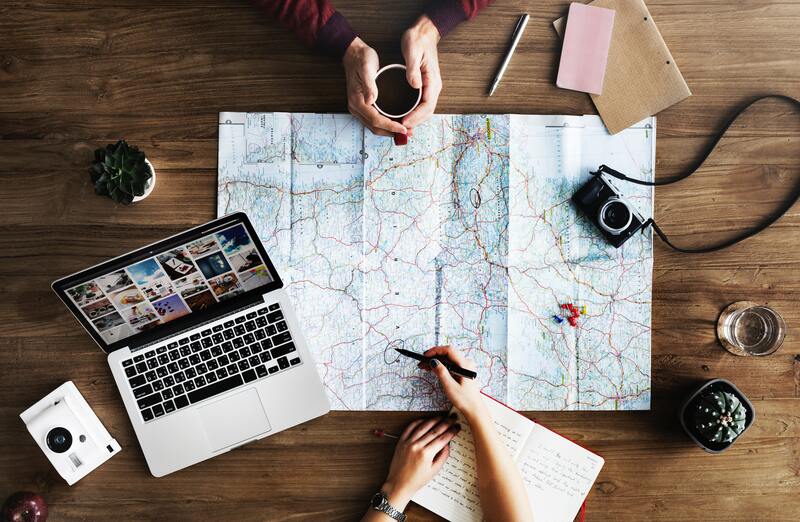 If an unlimited PTO policy is overly simplified, however, it might not guide employees towards sufficiently optimizing their vacation usage. In fact, a poorly implemented unlimited PTO policy may actually discourage usage depending on the company’s culture and policy structure. One way to overcome this is to incentivize PTO usage through bonuses. prize drawings or similar. Other ways to increase usage include company leadership leading by example and taking time off, “requiring” a certain amount of leave or otherwise enforcing the culture of vacation taking. Another issue with unlimited PTO is that it results in employees who take lengthy protected leave getting paid for their entire leave, as many types of protected leave such as FMLA require all unused, accrued paid time off to be applied to the leave. The best way to address this issue is through competent, consistent leave administration. As long as HR or your company’s third-party administrator hold employees accountable to the approved leave requirements, employees will be less likely to abuse the system. As with PTO, unlimited PTO is a great option for companies with employees in multiple states if the companies want to simplify by adopting the most employee-friendly policy and applying it across the board. An emerging policy pairs unlimited vacation with accrued or limited sick time. This option is currently trending upwards, as companies want to be able to account for paid sick time separately. As I pointed out above, tracking sick and vacation separately is unnecessary in most cases, even in states where paid sick time is statutory. The main perceived benefit to separating sick banks from unlimited vacation banks is that employers may think they are less likely to have to pay for employees’ entire protected sick leave. In the context of tracking employees’ protected sick leave against their paid sick leave balance, this option would make sense. But even separating paid sick leave from unlimited vacation may not relieve companies of their obligations to allow employees to apply all accrued paid time off to their protected leave. While unlimited vacation technically does not accrue, it might be considered discriminatory for employers to deny employees the use of PTO or vacation time for sick or other protected leave. 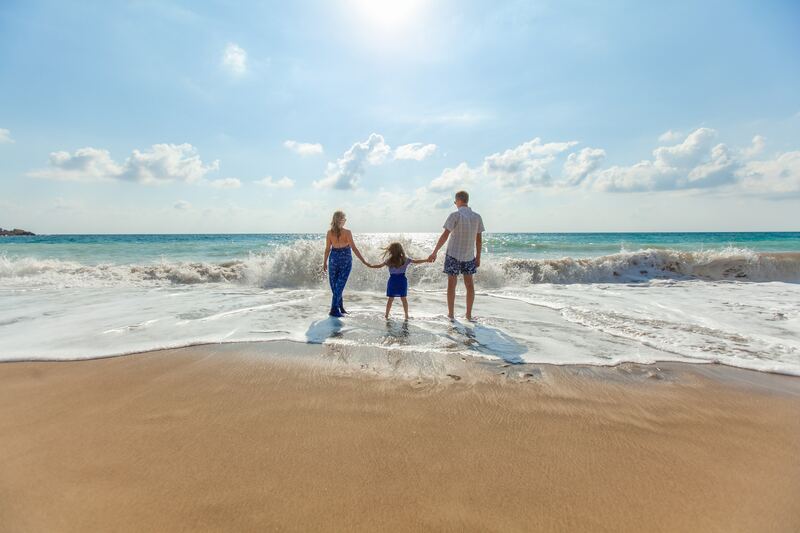 It is also not yet clear whether or not claiming that unlimited vacation does not accrue would hold up in court for FMLA and other protected leave purposes. Unlimited vacation with limited sick might be a better option than unlimited PTO for companies that do not operate in multiple states with various paid sick leave requirements. Given the legal uncertainties around this type of policy as it pertains to protected leave, companies likely should not attempt to deny employees the use of their unlimited paid vacation time towards their leave entitlements. Should You Have Different Paid Time Off Policies for Different States? In addition to deciding on the type of paid time off policy, your company must decide whether it wants to have the same policy or separate policies for its different locations. 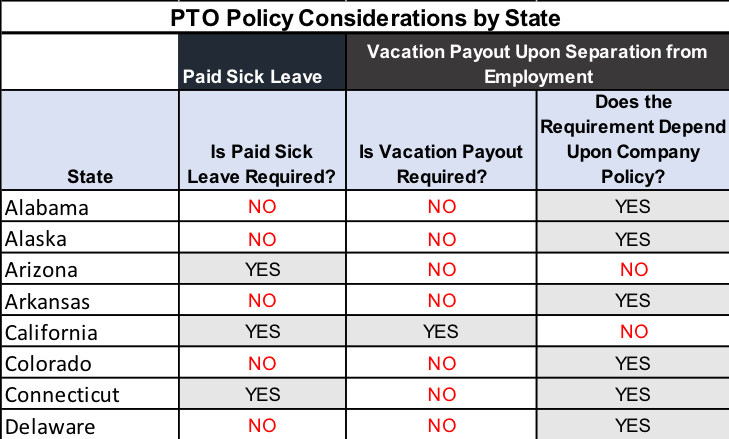 Since state requirements for vacation payout and statutory paid sick leave vary, this is an important (and potentially complex) decision. Other factors such as legal compliance, internal communication and accounting department bandwidth also come into play. Ideally, a company has one point of contact or one easy-to-find resource that quickly answers any time-off-related questions employees might have. Multiple vacations or PTO policies can create confusion and delay responses to questions. Having more than one policy can also result in incorrect information being relayed. I observed this firsthand. One of the large manufacturing companies I previously supported- Let’s call it Company X- had different handbooks for each state. When you went to the vacation section of the handbook, all you would see was, “Please refer to your plant-specific vacation policy.” So each facility had different rules, but payroll was processed centrally at the company’s corporate office. This was extremely confusing for new HR Managers, most of whom could not even locate their own location-specific policies. Once the HR Managers at the facilities knew their policies, they had to communicate the plant-specific policies to the corporate office, or at the very least, QC them to ensure corporate was applying them accurately (in some cases they weren’t). Such gaps in understanding can be extremely costly. A 2011 Holmes Report survey of 400 US and UK companies showed that miscommunication, including mistakes made by employees due to misunderstanding company policies, resulted in an average loss of $62.4 million dollars a year. Many companies have different time off policies for different locations partly because they want to make sure they comply with state and local vacation and paid sick leave laws. But, in some cases, having multiple PTO policies might actually cause compliance issues. For example, Company X’s tactical vacation-related decisions were made at the corporate level and the strategic vacation-related decisions were being made at the plant level. And, of course, they were not hiring HR compliance experts at the plant level. As a result, Company X did not have the right knowledge base in the right places to understand and comply with location-specific employment law related to paid time off. This put the company at risk of government fines and employee suits. In addition to the HR headache and increased costs, multiple vacation policies at Company X made addressing the vacation liabilities extremely complicated for the Finance group. Some plants had use-it-or-lose-it policies and some did not. Some accrued and others front-loaded. Some paid out the vacation, and some did not. Some calculated based on the anniversary date and some based on the calendar year. 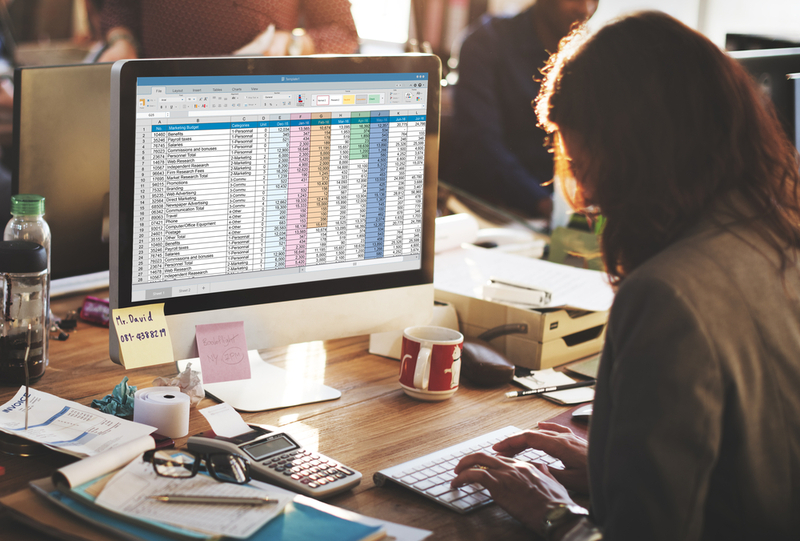 While most companies would not dream of making their policies differ in so many ways, any amount of differences create more work for the Accounting Department. Click on the below image to view the full chart. “In my current role as Director of HR Operations for Austin HR, an Asure Software Company [in Texas], I have seen a very effective policy implemented that helps reduce the liability issue. For small, agile companies, many times we suggest setting up a PTO program where companies have PTO instead of vacation and sick, and they do not assign a cash value to the PTO. Employees receive their full PTO allotment at the beginning of each calendar year and may carry over up to a week of PTO that they are unable to use. Does not pay out unused PTO. 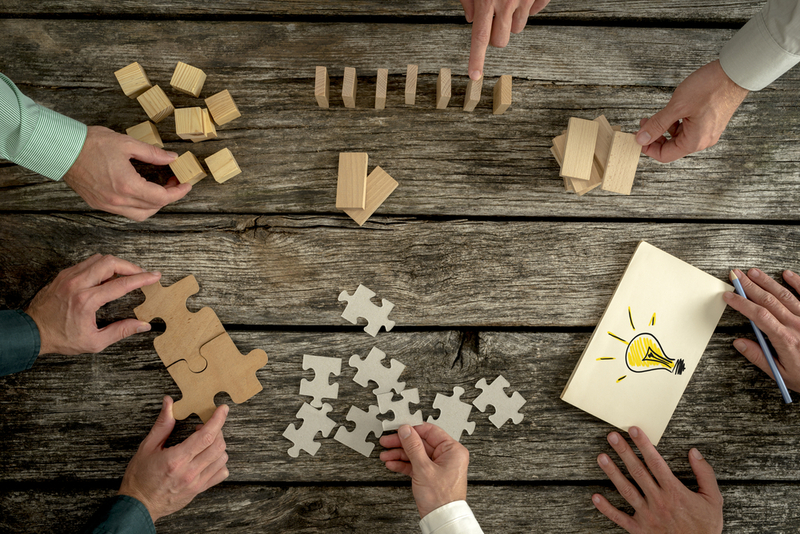 Unfortunately, the various internal and external factors I have discussed in this article may prevent your organization from using this policy strategy. Given this reality, I have broken out each component of the strategy separately, according to your organization’s circumstances. Has no employees working in states that require paid sick leave. Is unable or not ready to have either a PTO or unlimited PTO policy. Would like the best policy to overcome an unusual organizational structure, extreme bureaucracy or ineffective communication. Encourages, incentivizes and facilitates vacation usage. If you still have questions about what PTO policy is best for your organization and/or how to administer it, feel free to reach out! HR Expert. Business Owner. Author. Karaoke Queen. Sci-Fi fan. Returned Peace Corps Volunteer.